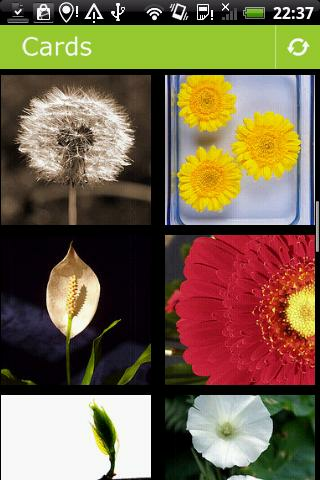 Send bright and shiny flowers postcards to your loved ones! Just pictures or accompanied with your wishes! 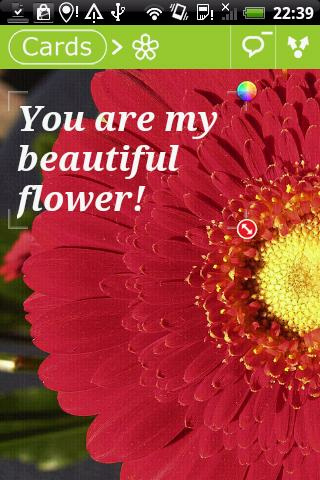 You can add your own pictures to this Flowers postcards app via Flickr. To do this, go to http://www.flickr.com/groups/shiny-postcards/ and join Shiny Postcards group.